The iTel A14S is a portable device to buy. It’s a budget device with a small screen size and it’s available in multiple colors. The little downsides of the phone are the specifications which are not that bad though considering the price. 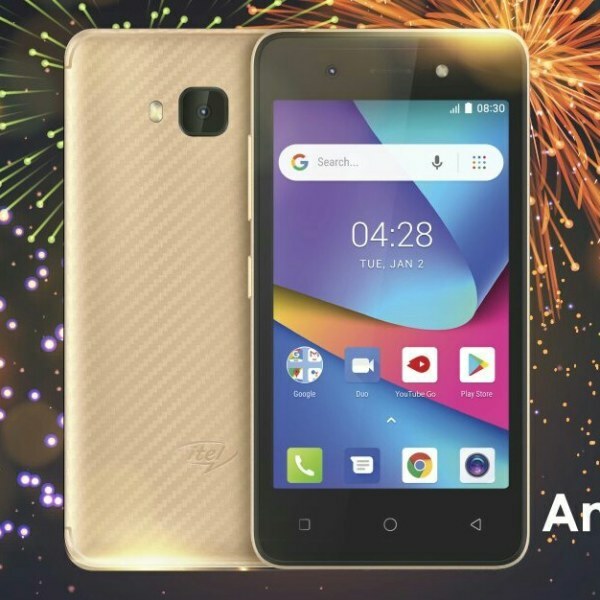 Below is the iTel A14S full specifications with features and the price. You are free to call this phone a cheap budget device. It’s very cheap and the design and display still testify it. The thickness is much and the bezels on the top and bottom of the screen are even more annoying. Many will still find it amazing because of the small body shape. It’s built with all plastic as expected to measure 126.7 x 65 x 8.3 mm and weighs 123 gram. As you can see, it’s very light and you can buy the phone in Phantom Black, Champagne Gold colors. The fake Antenna lines on the top panel add a touch to the design and the camera and LED flash qualify it to be called an Android device. Up front, it manages to squeeze out a front camera to satisfy selfies fanatics which is not that bad. The iTel A14S offers a screen size of 4 inches under IPS LCD capacitive touchscreen with a resolution of 480 x 800 pixels and 224 PPI density. On the camera, the phone is equipped with two camera configuration. It has a single rear camera of 2-megapixel with an LED flash and it also features Geo-tagging, touches focus, PDAF, HDR, and 720p video resolution. The front camera is 2-megapixel paired with an LED flash and other goodies as well that includes Face Unlock, Face Beauty, and HDR. The iTel A14S has a Spreadtrum SC7731 chipset with a quad-core processor that clocked at a speed of 1.3 GHz and Mali-400MP2 for graphics. It’s powered by Android 8.1 (Oreo, Go Edition) operating system with a nonremovable battery capacity of 1500 mAh which promise 9 hours of talk time. The internal memory is just 8GB expandable up to 32GB with a backup of 512MB RAM. It has support for 3G, Wi-Fi 802.11 b/g/n, Wi-Fi Direct, hotspot and Micro USB 2.0. The iTel A14S is now available and the phone will be selling at a price of $49.